Imagine davening in an atmosphere of total inclusion and acceptance, where you are welcome, in fact encouraged, to ask questions, and where you are implored to be as nonjudgmental of your neighbor as he or she is of you. This is the atmosphere that has been created in this Shul which we call home. Our Shabbat services are traditional and conducted primarily in Hebrew, with some English passages sprinkled in for further understanding. The truth is that only each individual among us knows how he or she best communicates with G‑d. At Chabad the language you use or the pace you set for yourself are not of paramount importance. Our prayer books are written in both Hebrew and English, and the page numbers are announced continuously so you may always catch up if you prefer to meditate at a slower speed.. Please connect with the day and with G‑d and with your own soul in whatever personal manner suits you best. During the section of the service dedicated to reading from the Torah, the Rabbi guides us through the weekly Torah portion aliyah by aliyah, briefly commenting on the meaning of each of the passages we are about to read. Each week, we expound upon the meaning of the Torah section we have just completed. We try to synthesize the Torah stories and directives, and relate their messages so that we may grow from them as we incorporate them into our contemporary hectic lifestyles. Please join us for our weekly Kiddish immediately following the service. The kosher Kiddish is provided on a volunteer basis by members of our minyan who may have a simcha to celebrate, a milestone to mark, or a family member they wish to honor. Often the Kiddish is prepared simply to honor the Sabbath. 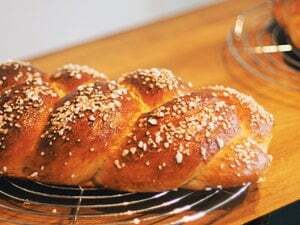 Our Kiddish affords us a collective opportunity to break bread, to partake of the most delicious and widely praised cholent, to share the news of the week, relax into the Shabbat tempo, and enjoy the warmth and companionship that emanate from this community. The Family Shul is one of South Florida's most unique Synagogues - a popular center for Jews of all backgrounds who want to learn more about their Jewish roots. Located just west of Aventura, on the famous Highland Lakes Shul Row, The Family Shul offers a wide variety of educational and spiritual opportunities, including Torah classes and lectures, Shabbaton dinners, and an array of family and social activities. Traditional Jewish values are brought to life in a joyous, non-judgmental atmosphere. An institution of Chabad Chayil, it serves all segments of the Jewish community. Everyone is welcome regardless of their personal level of religious observance. The philosophy is in keeping with the Chabad-Lubavitch approach of joy, scholarship and unconditional acceptance and love for every Jew. Chabad Chayil & The Family Shul is under the spiritual guidance of Rabbi Moishe & Layah Kievman, a warm, caring and energetic couple, who just recently reopened the doors of the congergation (originally known as the California Club Shul, under the leadership of the late Rabbi Dovid Bryn obm). The rabbi's approach is that Torah must be presented and experienced in a modern, relevant context and made available to each individual on their own level. Rabbi Kievman and his wife Layah are emissaries of the Lubavitcher Rebbe, Rabbi Menachem M. Schneerson. An important part of our community is the weekly Kiddush that follows the Shabbat services, where friendships are created and nurtured and we celebrate each other's happy occasions and anniversaries. Please allow yourself the opportunity to visit and participate in our vibrant congregation. By becoming a member at the Family Shul you will acquire lifelong friendships, an opportunity for spiritual growth, and most importantly a chance to be a part of your Jewish community. Please feel free to visit us for services or any other program, or just stop in to say hello. For more information or to arrange a meeting with the Rabbi call (305) 770-1919 or office@chabadchayil.org.